As my avid readers might have known, I love KPop and on the top of that list is 2NE1. This girl group surely know their music and fashion and has been crowned by MTVIggy as the Best New Band in the World before 2011 came to an end. Watch out for their US album produced by Will.I.Am to come out this year. Today, well actually yesterday (February 26 in Korea), was the birthday of 2NE1's leader, CL and as a tribute I recreated her makeup in their music video of Can't Nobody with the help of screen caps and Jen of Frmheadtotoe at Youtube. Hope you like this look! 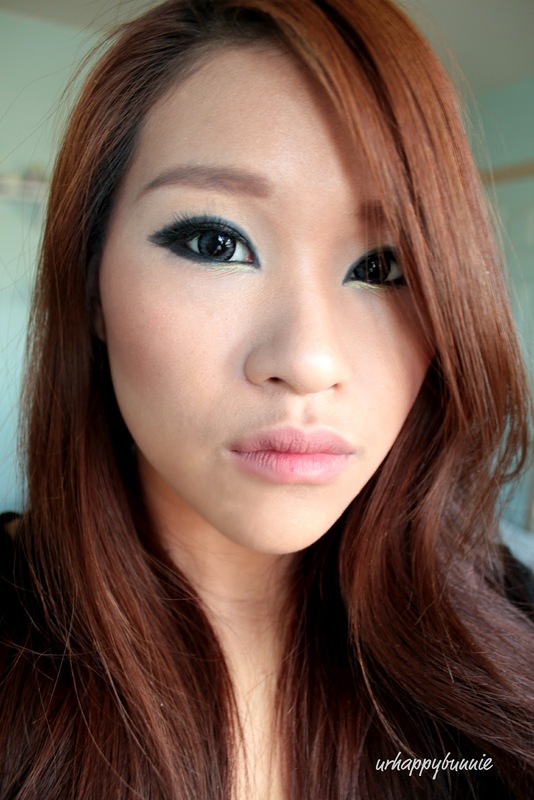 Oh, I also did a Park Bom of 2NE1 makeup look a few months ago, you can check it out here. I'm attaching the English Version of 2NE1's Can't Nobody MV. Tell me what KPop inspired look should I do next. Maybe I will! :) Thanks. You're so talented with makeup! Ergh!!! Jealous!! This looks sooo good on you! I love it! Awww. Don't be. 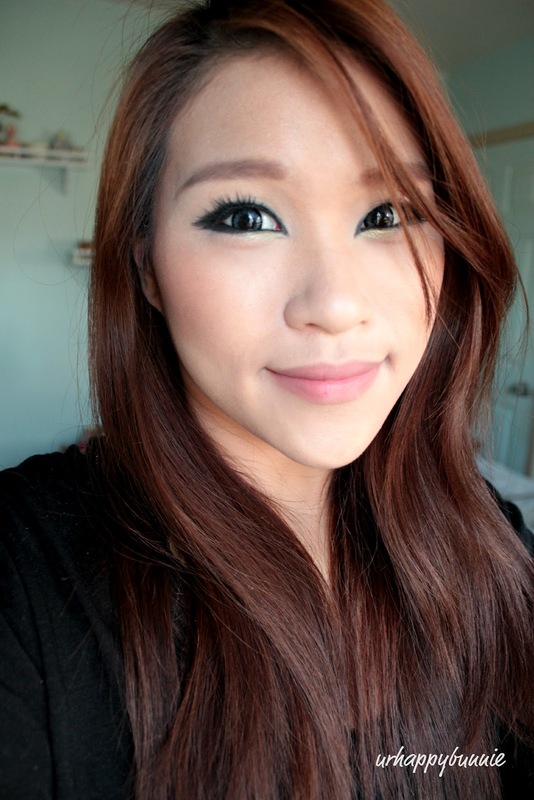 Circle lenses are awesome! Great recreation. I love the eyes. Love youe eyes. Great make up!! Following now dear. Follow each other? thx for stopping by my blog and left me such a lovely comment! :) will follow you too! I love the eyes. Really pretty! Great makeup!! You look beatiful! THANK U SWEETIE FOR SUCH A NICE COMMENT ! 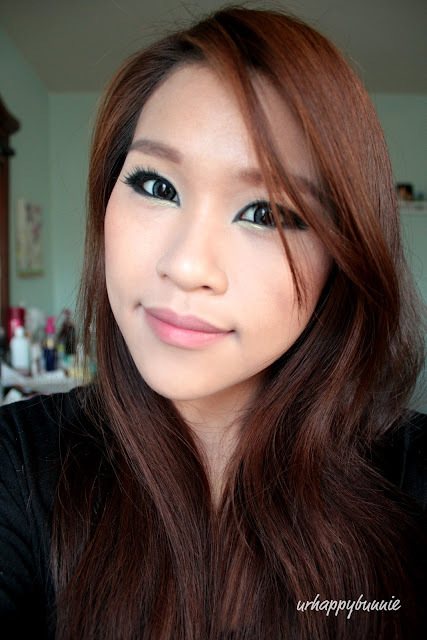 U HAVE REALLY NICE AND INTERESTING BLOG <3 AMAZING MAKE UP ! I love the strong eyeline, you should do a tutorial. While I'm not a fan of 2NE1's music. I love their make up & style. I've always wanted to replicate Park Bom's make up looks that she wears in her music videos, but I never got around to it, haha. OMG I love this ♥! such a powerfull look! Love the make up! Thanks for sharing this. Hello Joanne, thank you for your really sweet comment on our blog! This makeup you did is so cool. U are really rocking this look! Hey I think this is such a great blog and we are definitely following! Hi Joanne! Thank you so much for the follow on Twitter! Your blog is awesome!!! I am always looking for makeup inspiration so I'm thrilled to discover your blog! Hope you'll stop by and would you be interested in following each other on GFC? love it, wish I can put makeup on like this!! The video is cool.. I have to tell ya~ you are devastatingly gorgeous~!